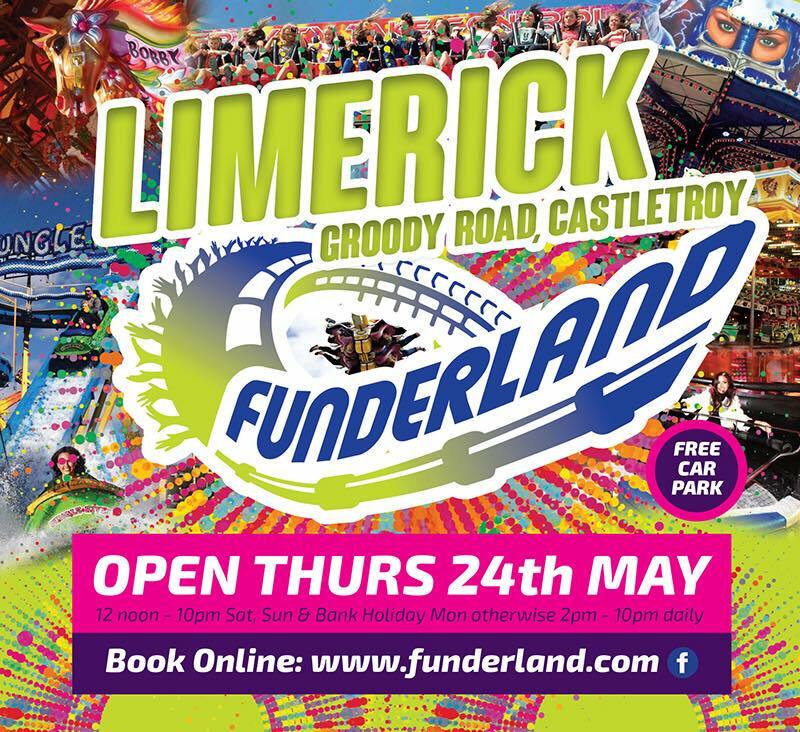 Funderland returns to Limerick this weekend with another fun-packed fair. Funderland is possibly the largest travelling Amusement Park event in Europe. There are always a host of attractions that are sure to please even the most seasoned thrill-seekers who dare to be suspended upside down, turned over or whisked through the air. They don't neglect younger visitors either with an extensive selection of juvenile attractions for children to enjoy. To celebrate the return, we have ten pairs of passes (2) to giveaway with unlimited wristbands providing hours of fun. To enter, simply click on the link to their YourDaysOut page below and select FOLLOW.